Because God is just, He must judge sin. Sin will be punished. For believers, their sin was punished in Christ because of His death on the cross. They are united with Him in his death and resurrection – it was just as if they already paid the price, because they paid it in Christ. So the price was paid. (Colossians 2:13-14) 13When you were dead in your sins and in the uncircumcision of your sinful nature,b God made youc alive with Christ. He forgave us all our sins, 14having canceled the written code, with its regulations, that was against us and that stood opposed to us; he took it away, nailing it to the cross. God reckons us just as if we had not sinned, through Jesus Christ’s payment for our sins. Are all sins the same? There is a verse that might give that impression – James 2:10 For whoever keeps the whole law but fails in one point has become accountable for all of it. James is saying basically that if you break the law, you break the law. All sin is serious – because all sin is an affront against God. He is the Lawgiver, and in fact the Law is a reflection of His very character. That doesn’t mean that it’s just as bad to break one law as it is to break them all – but if you broke the law, you’re a law-breaker. Period. For the non-Christians not all sins are the same. There is some truth on both sides – in a sense but God does not treat every sin the same depending whether you are a Christian or not. For non-Christians, if we refer to the Old Testament there are God-given laws – laws that clearly differentiate between sins. Some sins were to lead to the death penalty. Others, a simple repayment. Israel was required to obey all the law (Deuteronomy 28:58-59). What did Jesus say about judgement? Was all sin the same to Him? – John 19:11 Jesus specifically talks about greater sin when He says to Pilate: You would have no authority over me at all unless it had been given you from above. Therefore he who delivered me over to you has the greater sin. – Even the last book of the Bible seems to indicate that people will be judged by what they have done – which doesn’t sound like a simple “sinner or non-sinner” distinction. Revelation 20:13 The sea gave up the dead that were in it, and death and Hades gave up the dead that were in them, and each person was judged according to what he had done. For the non-Christians, no amount of good works will save them because they are condemned by their unforgiven sins. Are we judged by our actions ? Do our actions really make a difference when it comes to the way God judges us? The Bible seems to say there is a difference as well. – The parable Jesus told about the talents (Matthew 25:13-30)? Those who were faithful over more were given greater responsibility when the master returned. – Jesus said to Thomas, when he finally accepted the fact that Jesus had risen? Have you believed because you have seen me? Blessed are those who have not seen and yet have believed. (John 20:29) So is one action better than the other? – In 1 Corinthians 3, Paul describes those who work for the Lord as builders. All of the builders are saved, but some have work that lasts, while the work of others is burned up. – James even talks about judgement of believers in James 3:1: Not many of you should become teachers, my brothers, for you know that we who teach will be judged with greater strictness. So clearly there are different actions with different consequences for Christians – not just in this life, but consequences that go into eternity. Ephesians 2:8,9 For it is by grace you have been saved, through faith —and this is not from yourselves, it is the gift of God— 9 not by works, so that no one can boast. Sin separates us from God. For believers in Christ’s atonement work, our sins are forgiven and all are bound for heaven. 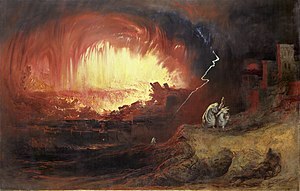 For non-believers, they are doomed to hell for no amount of good works will qualify them for heaven and they are judged by their sins. Every sin is not the same – and neither is every good work – some actions are better or worse than others. God will judge saint and sinner justly, He won’t just consider everyone the same. For the non-believer, no amount of good work will qualify them for heaven. For the believer, the Holy Spirit is given to empower us to do good works to God’s glory. What good works will you present to Him in glory? What rewards will there be for your works in Christ? We stand before Him infinitely undeserving, all sinners. And when we try to compare ourselves to others, we usually get it wrong 2 Corinthians 10:12 We do not dare to classify or compare ourselves with some who commend themselves. When they measure themselves by themselves and compare themselves with themselves, they are not wise.. We as believers are saved by grace – by nothing we have done. There is no room for pride at all. And so in the end we throw our crowns at the feet of the only one who is truly deserving. 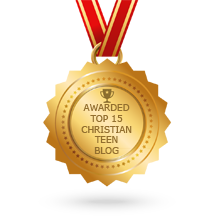 This entry was posted in A CLICK A BLESSING TODAY, CHRISTIAN FOUNDATIONS OF BELIEF, CHRISTIAN LIFE AND THE WORD, CHRISTIAN TEENS BLOGS, FAITH CHILD and tagged christians, non-Christians, Rewards, saved by grace, sins forgiven, works. Bookmark the permalink. While sin is sin, is sin, is sin, and the ‘tiniest’ sin still separates from a perfect God, we have to agree that God spoke of some sins as more obnoxious than others, as did Jesus in the New Testament. We also see the truth of varying rewards given in heaven. While it is true that I, of myself, can do nothing and could not merit reward, it is HIS DELIGHT to empower and enable His children and use them, working in them and through them to accomplish His purpose. It is our responsibility to allow Him to use us: to make ourselves available to Him. Must I go, and empty-handed, Thus my dear Redeemer meet? Not one day of service give Him, Lay no trophy at His feet? What an enormous privilege it is to be used of God! What an abundance of joy He gives as we yield to His calling! Woe is us if we hold back: we do ourselves a disfavour. What an amazing God and what a joy to serve Him! Another reason to worship the Lord, our sins are separated from us as far as the East is from the West. We have a home in heaven with God and all good things. All this given to us by our Lord. Praise the risen Lord Jesus! The preachers message comes through. The servants heart allows it.